Many people view their tele as the centrepiece of their living space – but it doesn’t need to be. The size of your lounge may not call for the latest 65 inch LG OLED TV and you risk your bedroom looking out of proportion if you go for anything above 40 inches, so good on you for knocking the notion that bigger is always better out the window. Keep reading for our list of the best 32 inch TVs available today. Good things come in small packages and that’s certainly something we can say about the Sony Bravia KDL32WE613. It may be one of the smallest in Sony’s range but they haven’t deprived it of spec, with HDR colour technology showcasing your films and your favourite TV shows in their full colour glory. A bonus is its smart platform, which also features Freeview Play – pretty good when it only takes (RRP) £269.99 out of your pocket. You may not be able to get everything you want from a 32 inch TV, though. There will likely be a compromise somewhere. Whether its exchanging ultra HD (1920 x 1080) for a more clunky interface or HD Ready (1366 x 768) for great colour tech and great gaming. But don’t worry, we’re here to clue you into the details. Check out our selection of the best 32 inch TVs below. All the big shots in the TV-verse feature HDR technology and so does this little one from Sony. Combining the HDR tech with its decent HD Ready resolution and you have an ideal television for small lounges and bedrooms. Thanks to its Crystal Clear X-Reality Pro and Supersmooth Motionflow technology, your favourite films and their fast-paced action scenes are crisp and blur-free, making for a high quality viewing experience all round. Samsung teamed up with renowned designers Ronan & Erwan Bouroullec to create this visually pleasing television. In a world where the thinner the bazel the better, these two designers have turned the notion on its head to create a television that is designed to blur the lines between technology and furnishings. It’s not all about the looks, though. This tele features a Full HD resolution and comes with Wi-Fi built in for full access to apps via the Smart Hub. The Toshiba 32D3753DB is a great entertainment hub with a smart platform for access to Netflix, Now TV and other popular apps. There’s also the added bonus of a built in DVD player and the ability to playback and pause live TV via a USB stick. While the television lacks Full HD, its smaller size means there shouldn’t be too much compromise on the viewing experience, and although it’s pretty bulky, you can’t really complain at the rather generous RRP of £229.99. While it doesn’t boast Full HD resolution, Panasonic claim that the picture produced is still of a good quality because of the screen’s smaller size. While this Panasonic is more expensive than the Sony, there’s a fair amount of technology whirring away in the background, most notably its Adaptive Backlight Dimming, which helps to achieve a higher colour contrast. Featuring a smart platform where you can access your favourite apps, in addition to Freeview Play and USB Recording and Playback, this is a clever little TV ideal for small lounges and bedrooms. It may be last year’s model, but its features and its price sure make an impression. Delivering a Full HD picture with promise of superior colour, contrast and clarity, this 32 inch TV from LG is certainly worthy a place in our list. Worth mentioning is its Resolution Upscaler, which helps to boost the picture of standard definition DVDs and programmes. 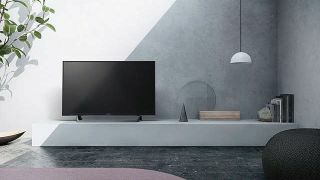 In a word where TV sound systems are being compromised for slimmer screens, LG have installed 10W speakers and software that helps to create the illusion of surround sound. For a cheap and cheerful TV that does what is says on the tin, you can’t really go wrong with this Hisense. The picture isn’t Full HD but that isn’t the be all and end all. For just over £200, you receive a full Smart TV interface with your favourite apps and you can record and pause live TV via USB with its PVR compatibility. While it may not be the best for gaming, for catching with your favourite shows or putting on a DVD for the kids’ afternoon entertainment, it’s the ideal buy. Bit of a gamer? Check out our list of the best TVs for gaming.